According to the Mayo Clinic, 70 to 80 percent of people have a deviated septum, meaning one nasal passage is smaller than the other. It&apos;s rarely serious—except in Hollywood, of course! We&apos;ve been told by countless celebs that their noses just HAD to be re-sculpted to correct this common condition. One example is Ashley Tisdale. "Growing up I always knew I had a deviated septum on the right side of my nose, which caused trouble breathing," the 32-year-old High School Musical star told People. "The older I got, the worse it got. I went to get it checked out, and the doctor told me the septum was 80 percent deviated and that I had two small fractures on my nose." That led to a corrective septoplasty in 2007... but did she stop there? Let&apos;s take a look at her beauty evolution! Ashley Tisdale at Carmen Electra&apos;s Aerobic Striptease launch in 2003. Ashley Tisdale at a 2004 Us Weekly event. By the following year, Ashley was a blonde, a hue she continues to dabble with to this day. She also started straightening her hair and got bangs (which I wouldn&apos;t be opposed to seeing again now!). Compared to today&apos;s YouTube-inspired teen stars, the aqua eyeliner is actually quite sweet. Here, you can see a side view of her original nose. How 2000s is this haircut?! It really hasn&apos;t stood the test of time, nor has Ashley&apos;s heavy-handed bronzer masquerading as blush. By now, she was 19, and a full-fledged blonde. Now that she&apos;s not smiling as widely, we can see her natural lip shape. Ashley Tisdale at the 2006 Teen Choice Awards. The blondification continued through 2006, when Ashley went even lighter, and longer. This is when "mermaid waves" first debuted, making her look every bit the young Hollywood starlet. (Ahh, memories!) Once more, we can see the profile of her nose... and did you notice? Her teeth are now blindingly white! Ashley Tisdale at MTV&apos;s &apos;Total Request Live&apos; in 2007. Now, we arrive at the last couple of pics before Ashley&apos;s surgery—or at least, the one she&apos;s admitted to! This time, we see her nose from the opposite side, along with her natural lips and lids. (Yes, I think there might be a later change in those two places as well!) Hair-wise, she kept the volume, but started parting it to the side, and darkened the blonde. What a change, right? Suddenly, the tip of her nose is MUCH more chiseled down! Another difference is the brown, straight hair with fine highlights and a long side bang. Her eyes still appear heavy-lidded, so I don&apos;t think she did anything there (yet!). Ashley Tisdale at the 2009 Kids&apos; Choice Awards. Here&apos;s my favourite photo of young Ashley. I adore this rich brunette hair colour on her, along with the natural texture. And skin texture, for that matter! It all looks very fresh. Her nose doesn&apos;t look as artificial from this angle... could it be she had a revision procedure, as fans have speculated? I&apos;m also wondering about the fuller lips. Injections? Maybe! Ashley Tisdale at the 2010 Golden Globe Awards. Never one to keep a hair colour for more than a few months, Ashley went back to blonde for a brief period in 2010. I&apos;m not a fan. Compared to the lovely brown she had previously, this ultra-bleached look really washes her out. At this point, the makeup starts getting more "done" as well. Ashley Tisdale at the 2011 People&apos;s Choice Awards. Tanning Mom, is that you? This is one of the deepest (hopefully spray) tans I&apos;ve EVER seen! At least her hair colour is dark again, as it would&apos;ve been even more jarring with the blonde. If you scroll up to the first 2007 shot, you can really see the surgical refinement of her nostril area. Hmm, I thought the problem with a deviated septum was that you didn&apos;t have enough space to breathe?! Ashley Tisdale at a 2013 Lucky Brand store opening. In 2013, she went ashy with her hair colour, and started doing the Hollywood "bend" to add texture. (That curling iron technique will look as dated as mermaid waves in a couple years, mark my words!) I miss her fresh-faced makeup circa 2008! If she did have lip fillers, they have dissipated. I&apos;ll take this opportunity to point out that changes that appear surgical are often a matter of lighting and makeup. Here, Ashley obviously highlighted the tip of her nose, and I suspect also contoured to make the bridge look narrower. Unfortunately, the shimmer is emphasizing her pores and skin texture. This blonde is nice on her, though! Ashley Tisdale at a 2015 LC Lauren Conrad show. And this was Ashley&apos;s most surprising hair colour experiment. Over the years, she&apos;s tried light blonde, dark brown, and everything in between, so why not red? This one has a pinkish tone, so it&apos;s not exactly a natural look. But, along with the shorter length, it does update her image. Her lips seem a little fuller again here. Ashley Tisdale at the 2016 Art of Elysium Heaven Gala. Then, in 2016, things got a lot more sophisticated. Gone was the red hair, replaced by dark brown locks pulled into a chic updo. The skin finish has a much lighter touch as well, and isn&apos;t calling attention to her pores. Plus, her nose is already so sculpted, she doesn&apos;t need any extra shading there! I really love these well-blended smoky eyes. Now, we&apos;re in 2017, and I think this is Ashley&apos;s real hair. (A week later, it was super-long at the Billboard Awards, but those had to be temporary extensions.) Her soft Ombré looks great in these warm tones, and I can&apos;t get over the shine! Makeup is a little heavier here, and lips are fuller again, leading me to suspect Restylane. Her nose, obviously, is very different compared to this same angle in 2004. Ashley Tisdale at Beautycon 2017. That brings us to our final shot, and my all-time favourite Ashley hairstyle and colour! This is a similar hue to what she had in 2009, just a tad cooler in tone. I love the shorter length, flipped to one side, with a more effortlessly beachy texture. The makeup is tasteful, and everything looks timeless, not trendy. Our girl is all grown up! Ashley Tisdale in 2003 (left) and in 2017 (right). Ashley Tisdale in 2004 (left) and in 2017 (right). To appreciate how much Ashley&apos;s features have changed, you really need to examine her photos from both front and side angles. At minimum, I think you&apos;ll agree with me that there is a noticeable difference in the shape of her nose! So, could the deviated septum excuse actually be legit? "I didn&apos;t do this because I believe in plastic surgery," she insisted in 2007. "I did this to help my health. I literally almost could not breathe out of the right side of my nose." Some cosmetic surgeons aren&apos;t so sure. 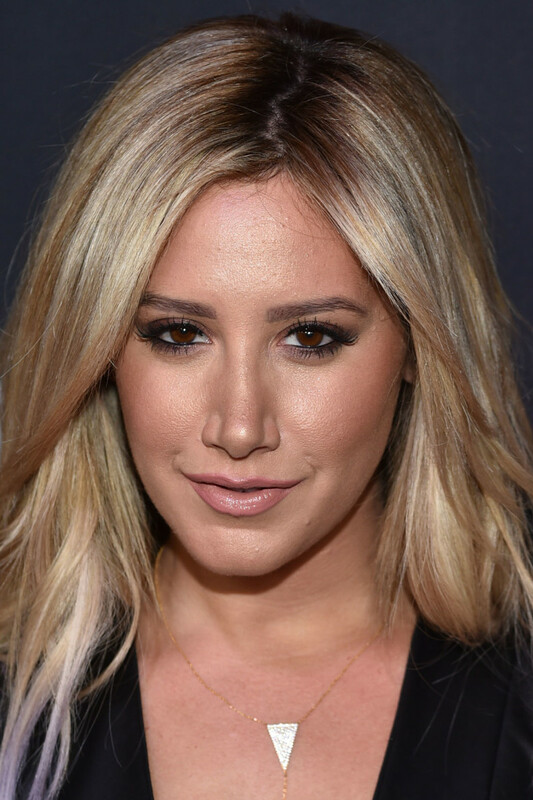 "Interestingly, the extremely small and pinched look of the tip of Ashley Tisdale&apos;s nose indicates that a lot of cartilage was removed from it, and this usually causes difficulty breathing; this is the very reason why she embarked on her surgery in the first place," Dr. Andrew Jacono wrote in The Huffington Post. Dr. Michael Persky calls it The Ashley Tisdale Nose Job: "While you&apos;re in there Doc, how about making my nose look a little better?" He also speculates that she had a later revision rhinoplasty. 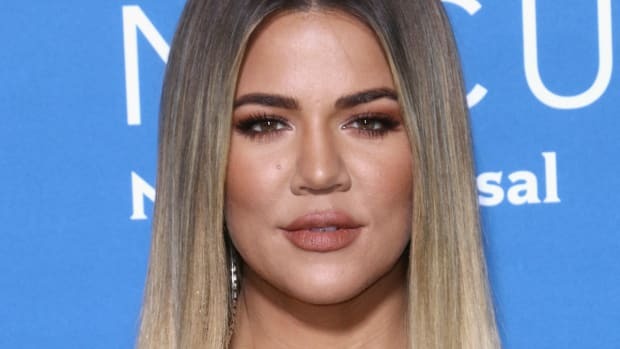 I&apos;d believe that, and I&apos;m also seeing possible evidence of changes such as teeth whitening or veneers, lip fillers, and even blepharoplasty or Botox to create more wide-open eyes. They&apos;re just a bit harder to spot with the constant hair changes and heavier makeup. All of this makes Ashley no different to the majority of celebs whose Before & Afters we&apos;ve examined. My guess? She attributed it to a deviated septum because she didn&apos;t want to disappoint her young fan base. Let me know your thoughts! How do you feel about Ashley&apos;s beauty evolution?